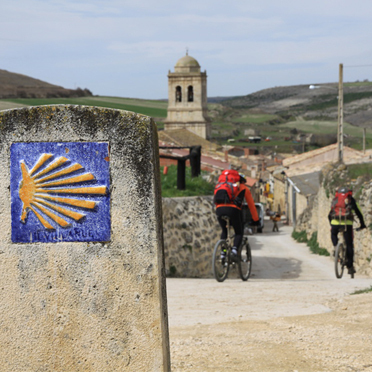 Walking the Camino de Santiago is not a conventional walking trip but a pilgrimage through history, art, culture and legend stretching back over 1000 years. 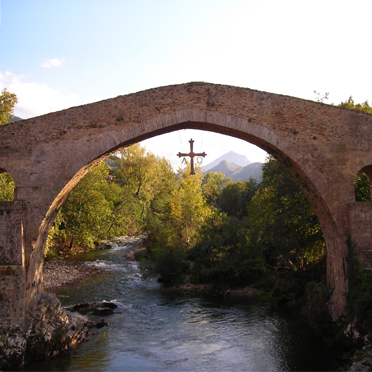 The Camino de Santiago – “The Way of St James” – goes back to the ninth century when the convenient discovery of the remains of St. James led to pilgrims journeying across northern Spain to pay reverence to the Saint who quickly became an idol and a rallying point in the struggle against the Moors, then in control of much of the Peninsula. The abundance of cathedrals, monasteries, shrines, monuments and inns built in the Middle Ages are ever present as you move towards Santiago, providing pilgrims with a visual feast of cultural and architectural wonder. You will stumble across fairytale palaces, weave along old farm tracks, climb to points offering spectacular views, descend into valleys of breathtaking beauty, wander through rural villages where time has seemingly stood still for centuries, receive genuine Galician hospitality and enjoy one of the world’s greatest walks. In-house Camino expert Clara is the Holy Grail of trip planners on the Camino. 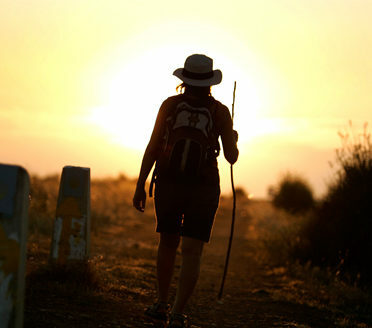 She knows it well, having hiked and biked it over 50 times as a guide specializing in this famous Pilgrimage walk. She has been office based with us for many years but has become the expert planner of itineraries for those wishing to maximize their experience on this legendary route. 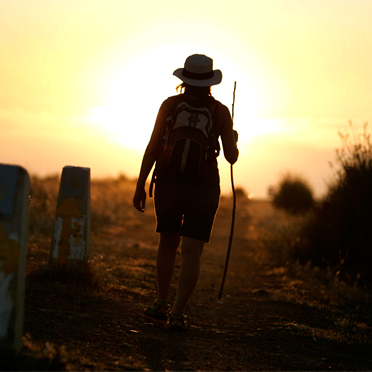 There are many ways to arrange the trip along the Camino de Santiago, including the Camino Portugués or Portuguese Way. 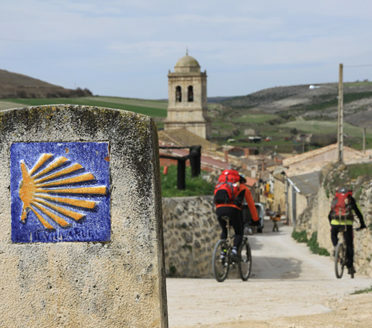 This is a fantastic route for pilgrims looking for a more rural experience on the Camino de Santiago. It starts in Lisbon and takes pilgrims across stunning countryside, villages and towns such as Santarém, one of the last Moorish bastions in Portugal; Coimbra and Porto. On the Portuguese Camino route, the landscape is mostly a mix of terraced fields, lush forests, vineyards and peaceful sleepy villages. Whichever route you take, we at Madrid & Beyond rely on in-house experience and knowledge, employing bi-lingual guides who have walked the Camino dozens of times, guides who enthuse about the Camino and its beauty, know its little secrets, and who will introduce you to unique characters along the way, and with their good humor and cheer make your trip a fun and memorable one. Thank you for arranging a wonderful time on the Camino. Our guide was wonderful and we enjoyed his company tremendously. I just wanted to let you know how well the entire Camino experience went. You did a marvelous job. Your choice of guide was a most excellent choice. He is extremely knowledgeable and goes well beyond the necessary to make things successful. He became a true friend. As I said, seldom have I had an experience so solidly positive. I would like to tell you how much we enjoyed ourselves individually and as a group. Several of the highlights of the journey were our guide, the tapas in Madrid, the silent walking, the rooms set aside for our gatherings, the monastery at Samos, the Camino itself, the professional bus driver, our guide, the Pazo Andeade, our guide, the changing weather, discovering the offerings of Santiago, did I mention our guide? He has been the heart, the soul, the glue, and the shepherd, some say the white tiger. His energy, enthusiasm, attention to detail, humor, and gentle caring has been appreciated by all of us. Thank you so much for enriching our journey by sharing our guide with us all. We have enjoyed our experience very much. Fantastic! Muchas gracias. Travel Madrid, Barcelona, Andalucia & beyond with our Luxury Custom Tours of Spain. Private tours of Spain, Portugal and Morocco from the leading Spain Travel Agency. 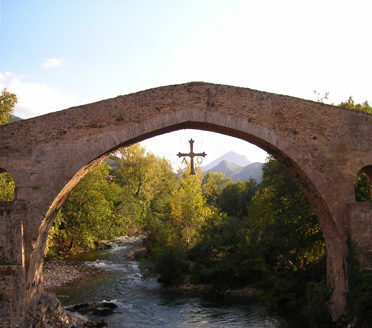 Tour Spain with the Specialists & enjoy unique private tours and Special Experiences!